Five new destinations for forward-looking bop and improv. The recent suspension of legendary saxophonist Von Freeman’s long-running Tuesday-night jam at the New Apartment Lounge gave pause to everyone in Chicago’s jazz scene. Though reportedly only temporary (due to club renovations), the break was another reason to wince after the closing of the Velvet Lounge and Club Blujazz, both within the last year. But there are alternatives. The Umbrella Music collective’s been feeding us serious talent for some time at Elastic (Thursdays), the Hungry Brain (Sundays) and the Hideout (Wednesdays), while other unaffiliated but similarly worthwhile weeklies include the Skylark’s Ratchet Series (Mondays), Jeff Parker’s regular set at Rodan (Tuesdays) and Heaven Gallery’s eclectic Protest Series (Saturdays). A fresh crop of weeklies (and one monthly)—all of them free or cheap—has sprung up in the wake of the aforementioned closings. Here’s a guide to newer regular destinations. Old Town School of Folk Music throws its hat into the jazz game with this monthly showcase, presented at its more intimate Lincoln Park spot. And the programming is just as strong as its sibling location, having hosted some of the city’s brightest young improvisers, including guitarist Dave Miller and cellist Tomeka Reid. Though not yet year-round, the gig this week brings a guitar showdown from Mike Allemana (Vonski’s ax man) and Jason Steele before the series takes a summer break, resuming in September. Sunday 1 at 4pm, Old Town School of Folk Music (Armitage location), $5. Members of the Association for the Advancement of Creative Musicians and Asian Improv aRts Midwest are featured at this springtime Sunday series, including many of the artists who so often graced the Velvet. Seasoned improvisers like Dushun Mosley and Tatsu Aoki have already appeared, and concerts resume in May with Madison, Wisconsin, reedist Hanah Jon Taylor. 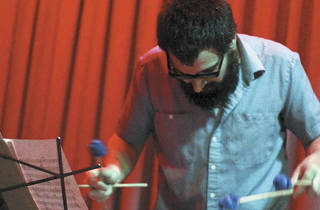 Given Elastic’s firmly established Thursday programming in addition to regular evenings devoted to electro-acoustic experimentation, this Palmer Square room is picking up the slack for forward-thinking, envelope-pushing improv more than anyone. May 7, 14, 21 at 9pm, Elastic, $12 (students $10). The same folks who give us the annual Hyde Park Jazz Festival are behind this weekly, recently reestablished inside the South Loop Hotel’s swank L26 lounge after a long-running (if intermittent) stand at Kenwood’s Room 43. The series also serves to fill the void left by the nearby Velvet’s closing, with guests like AACM ringer Ari Brown and Miles Davis associate Robert Irving III gracing the bandstand. Sundays 7:30pm, L26, $10 (students $5). Keyboard wizard Jim Baker is the man behind this well-worn group, featuring Liquid Soul saxist Mars Williams and his former NRG Ensemble bandmates Brian Sandstrom and Steve Hunt. The now-closed Hotti Biscotti was the combo’s home for several years, and when that venue shuttered, Baker wasted no time in securing a new residency, now on Mondays at Roscoe Village’s Beat Kitchen. Located above the bar (rather than in the main concert room), it’s a chance to get up close and personal with some of the city’s most fearless and dedicated players, with occasional guests like Califone/Iron & Wine drummer Joe Adamik sitting in. Mondays 8:30pm, Beat Kitchen, free. Smartly moved a day up from Wednesday (where it was going against the Hideout’s redoubtable Immediate Sound Series), the Whistler’s jazz weekly resurfaces on Tuesdays with a newfound dedication to cutting-edge swing and free-improv. 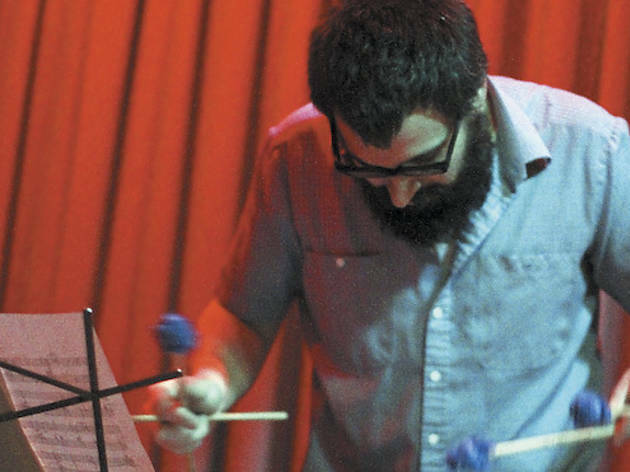 Vet performers include cornet man Rob Mazurek and drummer Tim Daisy, as well as vibraphone champ Jason Adasiewicz, who recently wrapped up a monthlong run with his trio Sun Rooms. The intimate room’s commitment to quality programming continues with guests like Umbrella fixture Dave Rempis (Tuesday 3). The potent cocktails don’t hurt either. Tuesdays 10pm, the Whistler, free.